Jan. 31. “Home Grown” is the appropriately named art exhibit opening Friday evening at the Cornelius Arts Center downtown. New and diverse works by nearly 100 local artists will be on display in the intimate space until March 30. 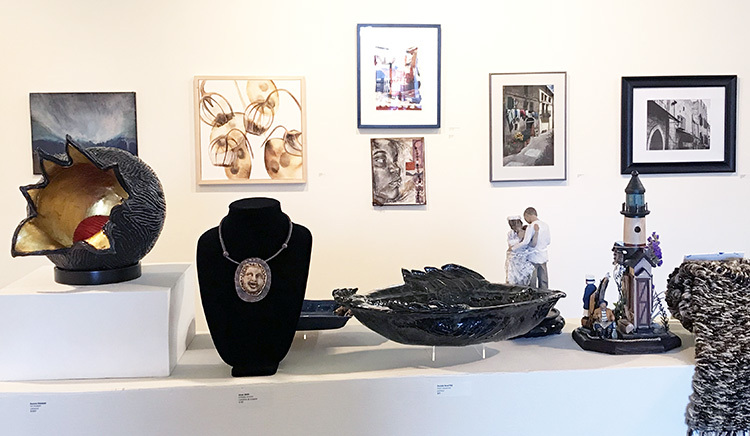 The opening night reception runs from 6:30 pm to 8:30 pm Friday., with some artists on hand to discuss their works, which range from mixed media and sketches to photography, fiber art and pottery. There are 95 pieces on display, some of them for sale at affordable prices. Cornelius Today editor Dave Yochum will be pouring wine for the guests. The Arts Center is behind the Police Station at 19725 Oak Street.